Growing up in Mexico, Yisel witnessed her two older sisters involvement in local gangs. At 12 years old, her mother sent her to the United States to live with her father – a man whom she had never met – as an opportunity for a better future. 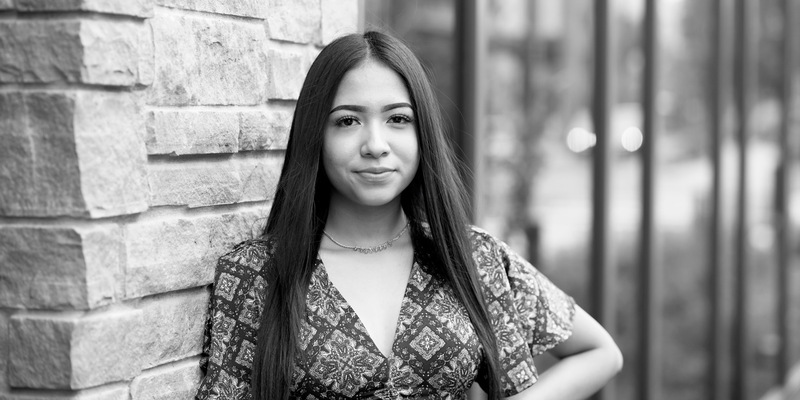 Yisel began to build a relationship with her father, learned English, cared for her younger sister and the family home, and held three part-time jobs to contribute financially, all while attending high school. Often times, Yisel found herself starting her day at 2:30am and ending at 10:00pm. When her high school was shut down due to violence and poor test scores, three different schools opened and closed: there was no library, no art or music classes, and no higher-level Advanced Placement or honors courses. Yisel took classes at her local community college to ensure she was prepared for higher education and also began a tutoring program at an elementary school to ensure others were preparing for their futures as well. Today, Yisel graduates in the top 10% of her class and is the first in her family to attend college.